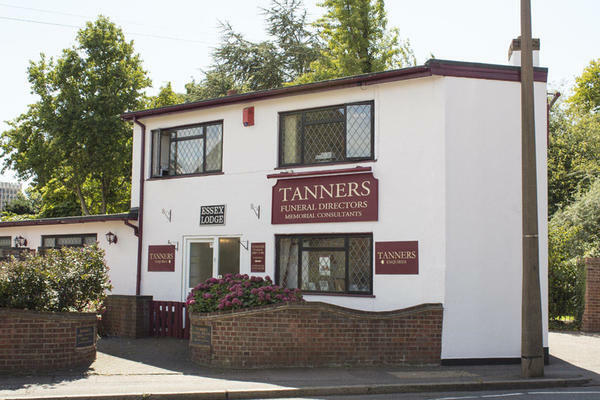 We are Tanners Funeral Directors in Prittlewell, Southend-on-Sea. We are honoured to have gained the trust of the local families that have surrounded us since 1812, when we first started here. We understand losing a loved one can be very emotional and difficult. We promise to be by your side every step of the way, to guide and advise where needed and ensure your loved ones funeral service is arranged beautifully and exactly as you wish. A combination of rich heritage, many years of experience and a compassionate team means that we provide the very best quality of care for people in their time of need. You can trust us to look after your loved one with the utmost care and always have your family's best interest at heart. Please call us at any time, we are available 24 hours a day. Call us today on 01702 618358 to talk through your personal requirements. At Tanners Funeral Directors, we understand how special life is with those that you love. For us, every funeral is unique and personal. We have a service to fulfil every wish, with every detail carried out with the same uncompromising quality of care. From a traditional service, to a colourful woodland burial, your options are limitless with our Full Service Funeral. If you have a little more flexibility when it comes to arrangements, then we can provide a Simple Funeral for a lower cost. There is plenty of parking available at the rear of our funeral home. We are opposite Saint Mary's Church, next to Churchill Gardens Park on the Blue Boar Junction. Our staff are available 24 hours a day on 01702 618358 if you require our services outside of these hours. Thank you for the kind comments posted on your online review. I am glad that we were able to provide you with the care and support needed at this time and that we were able to help make things a little easier for you at such a difficult time. My mum having the funeral plan was a god send and really took the pressure away from the family at ts difficult time. I cannot praise claire and all the staff at tanners enough. We have always used tanners as a family and will always continue to do so. The service from Tanners was excellent. The care and compassion we received from Claire helped us through our difficult times. I would recommend Tanners to anyone. Thank you for taking the time to complete the online review. I am glad we were able to provide you with the care and support needed and that we were able to look after you and your family at this difficult time. I was really happy with the service I received from Tanners. They helped me through the whole process and took some of the worry of everything away. I would definitely recommend them to a friend. Thank you for posting your review online. I am pleased that you were so well looked after by our team and that we were able to help ease any worries that you may have had. My father died very suddenly just before Christmas and I had no idea what to do. Thankfully my father had a Funeral Plan with Tanner's and they took care of everything, I could not have asked for better care. It was a wonderful service given with care and compassion. I would not hesitate recommending Tanners to anyone in need of Funeral services. I will be forever grateful for their assistance during a time I wasn't expecting for at least another 10-15 years. Thank you to one and all at Tanners for taking care of my beloved father. Thank you for the kind comments posted on your online review. I am pleased that the arrangements for your Father were carried out to your satisfaction and that our team were able to provide you with the care and support needed at this difficult time.